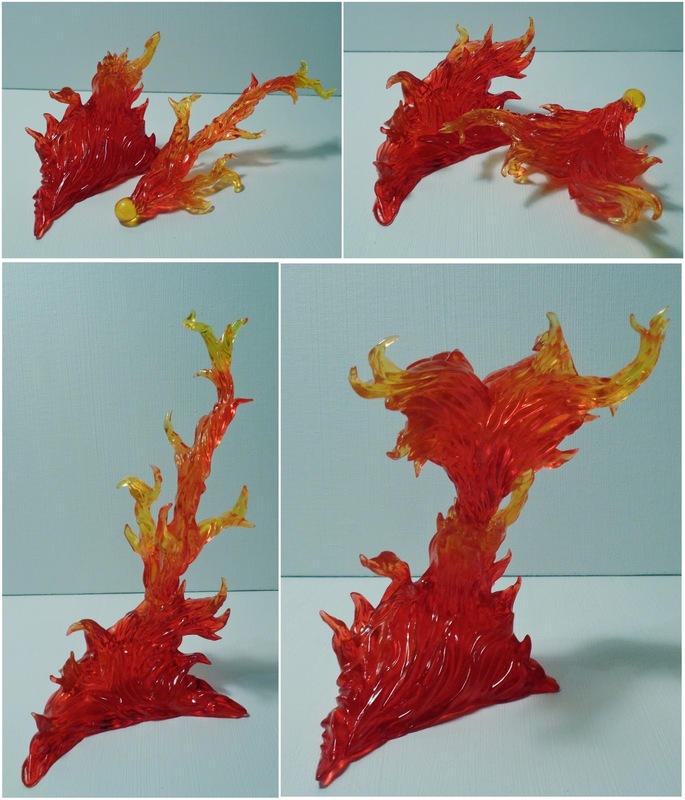 As many of you will know Tamashii started a new Effect line some while ago beginning with the Burning Flame set in red and blue. They sold out quickly and I have been searching for one ever since and at long last I found one and here it is. 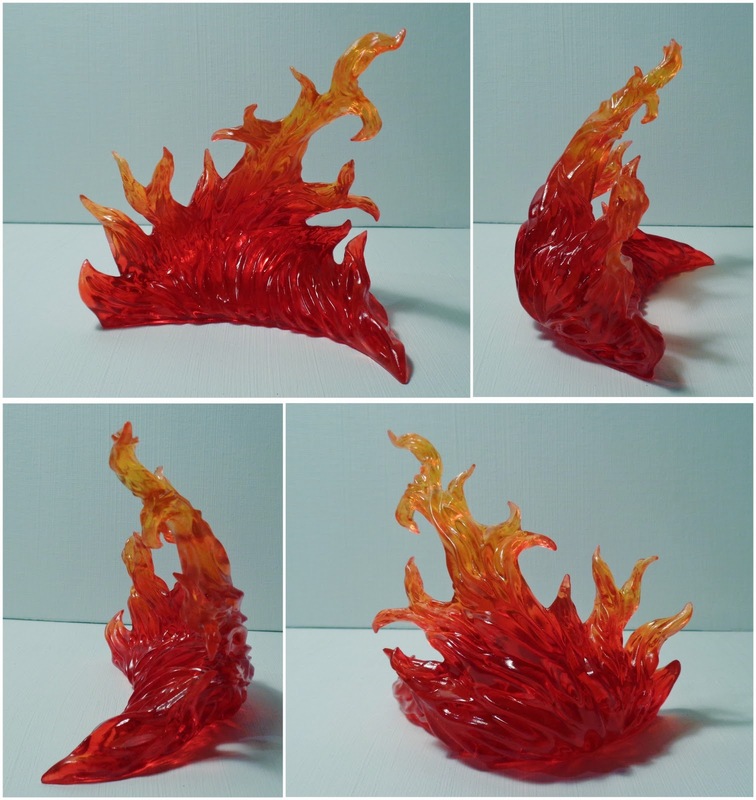 The set consists of three large pieces and four smaller ones made of semi-transparent plastic which goes from a deep red to a light yellow which looks really great. First of the three large pieces is a windswept piece which is static. 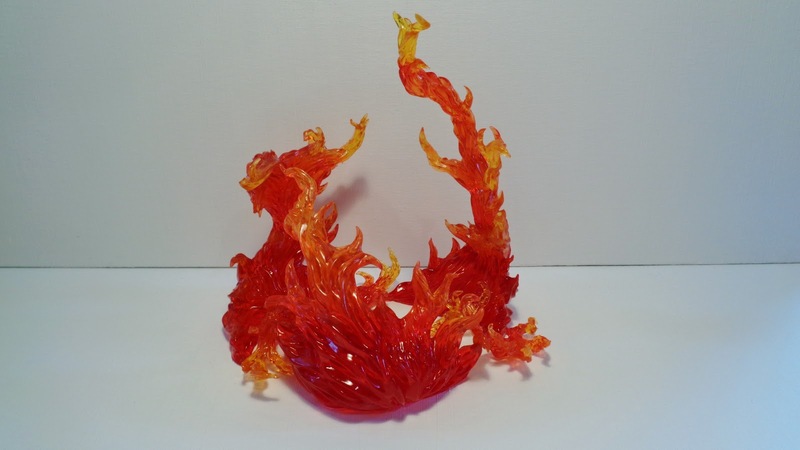 The second is a swirling piece which features a ball and socket joint allowing the upper section of the flames to be moved around. The third has the same feature. This third piece in my opinion lets the set down slightly as it looks odd from most angles and its not weighted correctly meaning that although it has a joint there are limited ways you can pose it. The jointed pieces are interchangeable however and this can create a way around the balancing issues. 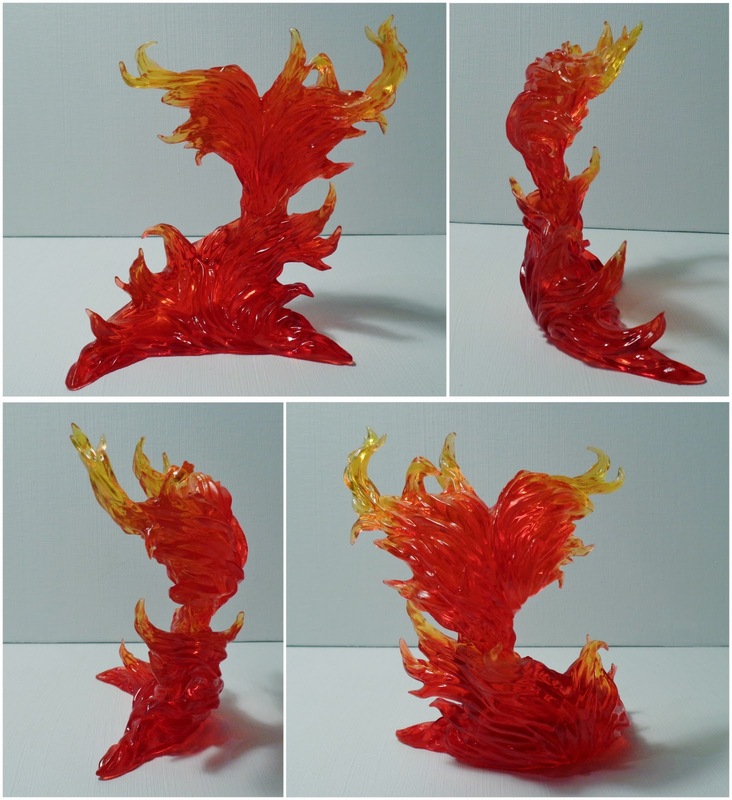 Then there are the four small pieces which can either be attached to the limbs of figures or to some of the flames on the larger pieces. 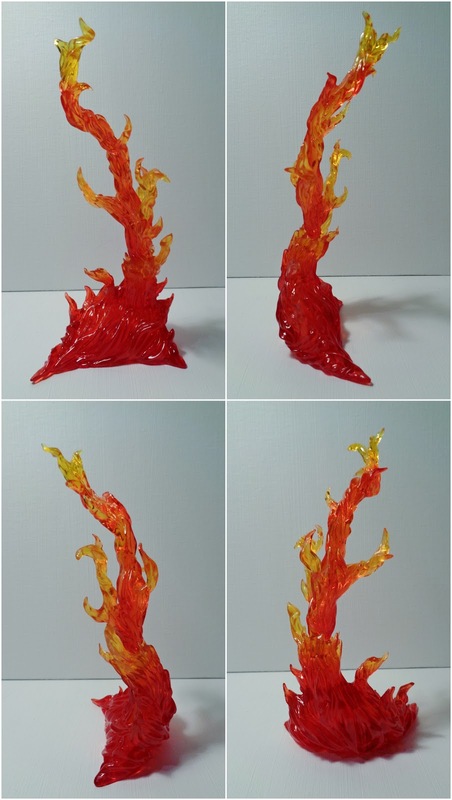 I believe you can also separate each piece in half in order to have more flames, however when I attempted to do so with mine I got a bit nervous as the plastic is semi-flexible and I was worried that I was going to break the pegs which held them together. One thing to note though is that the smaller pieces are not an ideal size for figmas as Tamashii designed these with other figure lines in mind. And yet in spite of a few short comings this is a great set, it captures the look of flames really well and is excellent for photography and will also be great for comics I am sure. 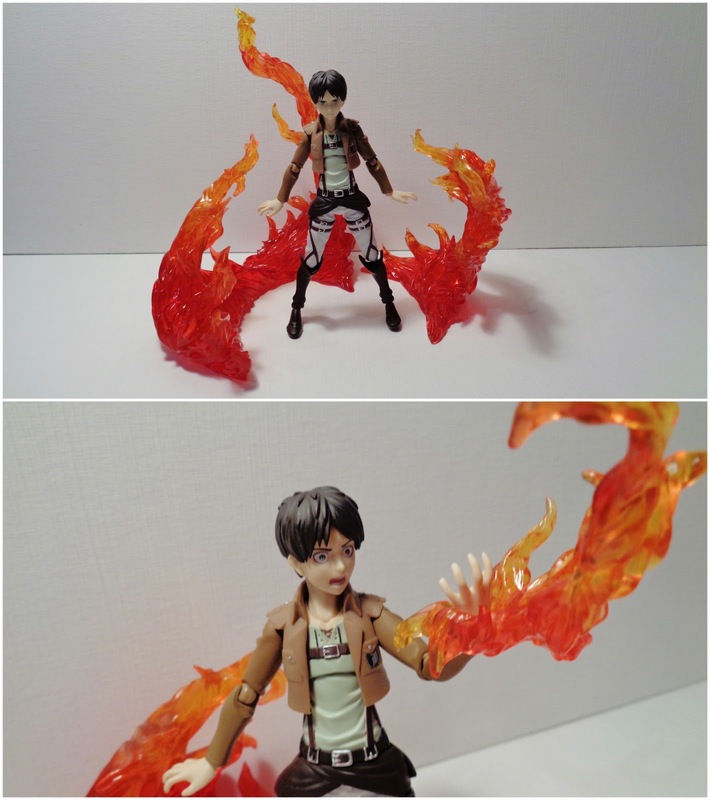 Thus I definitely recommend it no matter what figure line you collect.